The 5 Best Flooring Options for your Kitchen and Bathroom: Fabulous Floors can be yours!! Are you in the design stage of building or remodeling your home and the thought of choosing new flooring is stressing you out? Whether you’re starting from scratch or replacing your flooring, the decision-making process can be rough - but thankfully your floor doesn’t have to be! We have compiled a list of the 5 best flooring options to help you decide the perfect fit for your home – placing emphasis on the kitchen and bathroom! These 2 rooms reign supreme notorious for being high-traffic areas in your home. Excessive use of these popular spaces that also contain plumbing and water is why it’s essential to take careful consideration when selecting a strong, yet stylish, new floor! With so many options available today, it’s important to do your research before you decide! Read on for our “Fabulous 5” Favorite Flooring Options! There are many benefits to using Luxurious Vinyl Tile (LVT) flooring in your home. A popular cost-effective option over real hardwood or stone, LVT is designed to have a natural look and feel that closely resembles real wood and stone tile flooring. There are a variety of LVT Selections available, in a variety of styles, textures, and colors to coordinate with the look you want, and the durability you need in a new floor! The potential for water damage is minimal too, and with a nonporous surface type it’s extremely stain-resistant! Experts agree that LVT is the most durable flooring option today for your new kitchen or bathroom space. Not only can it handle intense traffic without surface damage, but it’s environmentally friendly too - #GoGreen! Installation is a breeze, and it will stand the test of time, so consider this our first pick for your fabulous choice in new floors! Learn more about Vinyl Flooring in the Kitchen from #HGTV! Have your heart set on hardwood floors in your home? It’s possible, and if well maintained, can last a long time in every space of your home! The warm, inviting look combined with the durability and quality of hardwood flooring is something that just can’t be replicated! Experts agree that taking precautionary care is a must when choosing wood flooring in rooms with water. There are sealants and protectants you can buy that act as a layer to shield and prevent water damage to both solid and engineered hardwood floors. Engineered hardwood is another alternative to consider as a substitute for real wood. The multiple layers and veneer top allows it to go places that solid hardwood planks simply cannot go! *BONUS TIP: Engineered hardwood can also hold up in rooms with high humidity and moisture, so it is a great option to consider for fabulous bathroom floors! 4. The Classy Ceramic Tile! Ceramic Tile is a great option for kitchens and bathrooms because it is offered in a variety of textures, sizes and colors. The protective layer on the surface of ceramic tile makes it impervious to stains and water damage, and so it is naturally resistant to humidity. Ceramic Tile is durable and easy to clean, so it is a popular choice due to its longevity. Overall, if you have skilled experts and a well-built home, this type of flooring is a good investment to stand the test of time! The popular choice to end our list of the “Fabulous 5” Favorite Flooring Options is Porcelain Tile. A tough, scratch resistant, and durable flooring option, the perfect polished style of porcelain remains a #1 choice for kitchen and bathrooms because it’s 100 % moisture resistant! In high traffic areas, porcelain tile flooring is an excellent choice and will outlast other tile options. It looks fabulous after installed, and using the right amount of grout will retain its beautiful appearance for years to come in your home! Find more reasons to choose Porcelain Tile from #HGTV! We hope that you find the fabulous floor you’re looking for, and if more help is needed – we got you covered! We have several floorplans that offer different styles and custom designs options to fit your lifestyle needs. Our homes include features like luxurious vinyl tile, or you can opt for gorgeous hardwood floors – customize your new home now the way you want in Southern Maryland. Visit: Marrick Homes for more information! Furniture Ideas for Under $200: How to Transform Your Home on a Budget! Many homeowners have postponed redecorating because they are on a budget, and let’s face it, any type of home purchase CAN be expensive! 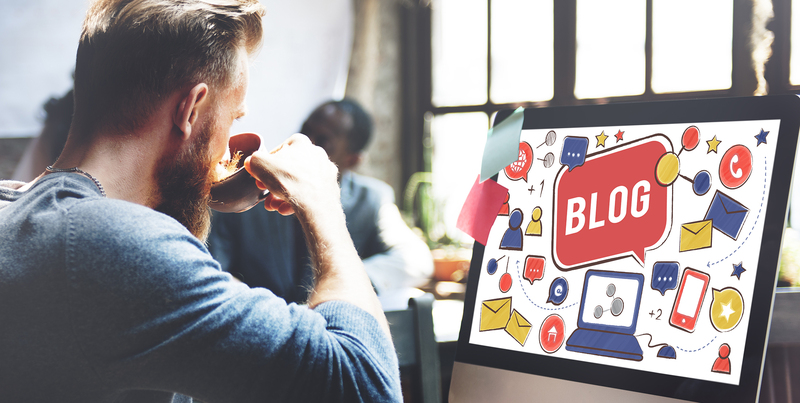 Looking online for inspiration is challenging as many designers, stores, and other blogs showcase furnishings and fixtures that are both expensive AND difficult to purchase! Redecorating on a budget may take some work and creativity, but it is possible to transform your home while keeping tabs on your wallet! We have some great furniture and decor ideas that can make your home look amazing without breaking the bank. Make redecorating fun and inexpensive by using your imagination to create a new look for your home! As a first step, do not try to fill your entire home immediately. Go through your home and list out what your priorities are by evaluating where you will spend the most time. Is it your bedroom, kitchen, living room, or another space? Once you figure out where you want to spend your money, begin the search for versatile pieces that are timeless, stylish and functional! Here are some great furniture finds that are all under $200! A well-designed side table is the perfect combination of design and function as it can be used to add accessories and storage, plus give your room a completed look! We love the sleek style and functionality of the MoDRN side table! Add a personal touch to your room with flowers, frames, or candles for some ambience! These tables are lightweight and easy to move - shift them around to see where they look best OR customize and add a pop of color by using paint and different stains to make it your own! These tables can be found at major retailers such as Walmart for a easy and affordable purchase! We love how versatile and fun these velvet stools are. These stools can be used to add a pop of color in a small bathroom, in a child’s room, a living room for extra seating, and in a hallway to rest your coat and purse! The color variety and affordability just adds to the appeal. Pop the seat cushion off for easy cleaning or buy a new seat cushion altogether for a color change! These adorable stools are available at major retailers including Urban Outfitters and Amazon! This chair is sleek AND comfortable and will look great in a living room, bedroom, or basement. Imagine sinking into this beautiful chair after a long day at work or on a cold winter day! We love the sleek lines, modern design, and comfortable fabric. Add a cozy throw and some accent pillows for a splash of color. This piece is affordably priced at $199 from Urban Outfitters! Elongated cabinets are elegant and multi-functional, as they can be used in a decorative capacity and for storage. We love this Bush Storage Cabinet because of the classic wood finish and the timeless carve outs on the cabinet doors. There is ample storage space which is perfect to store books, baskets, toys, or dinnerware! This piece is perfect for a bedroom, living room, media room, or long hallway. At around $160.00 this piece is an absolute steal and available on Amazon! Who would have thought that you could add some glitz and glamour to your home for under $200! This piece is elegant, charming, and can really transform the look of your living room for the fraction of the cost of a new sofa. Not only is this piece inexpensive BUT it has great reviews and comes in a variety of colors too! Turn an ordinary room into something extraordinary with a gorgeous and affordable chaise sofa! Find a gorgeous Divano Roma in many sizes and colors on Amazon! These are just some ideas we love but there are so many more to discover! Check out more retailers and visit local stores throughout Southern, MD for more great designs and furnishings that are amazing AND affordable! The staff at Marrick Homes can work with you to develop a budget friendly new home of your dreams AND assist you with furniture planning by taking your through our amazing model homes. Our homes use a variety of furniture styles from various vendors and price points to help you! Visit any of our communities and find the perfect place to live in 2019! Choose the Perfect Paint Color for Every Room! Popular Styles & Color Trends for Your Home. Painting your home is an easy and inexpensive home improvement strategy that will provide immediate results AND add tremendous value. You can refresh your entire home just by painting a few walls! Color selection can be daunting but homeowners should work to figure out personal color preferences as well as coordinate those choices with their existing decor. It’s important to note that colors have to flow from room-to-room and from the interior to exterior too. We have outlined some helpful tips on how to select paint with confidence; as well as develop your personal color palette! It is much easier to choose a paint color that matches your furniture versus picking furniture that matches your paint color! In fact, many designers suggest using one piece of furniture as the starting point for the room’s color scheme. If your furniture is a solid color, select a wall color in the same color family. Be careful when selecting a color however, for similar shades may blend too well together and create a flat and monotone look! If your furniture includes a pattern select a color from the contrasting color family to create flow and cohesion throughout the room! Many designers suggest using Pinterest when exploring paint colors because you can get ideas for color and decor as well as pin rooms that catch your eye. Also, you can easily share your selections with your painting company, designer, or expert at your local paint store. Swatches are available in every color and you should take as many as you need to test against your walls and furniture. Swatches are also true to the actual paint color so you can really get an idea of what a particular color will look like. Being open minded when looking for inspiration is important because you may notice an amazing color when you least expect it! Almost all paint stores sell actual color testers and it is important to make sure that a large enough area is painted on a few different walls so you can determine where to paint and whether light impacts the color at all. All major paint brands have testers available that are inexpensive and very easy to transport. Spending money on samples is well worth the cost versus buying gallons of a color that you are uncertain about! In addition, leftover samples are great for touch ups and other DIY projects! There are usually just four to five paint finishes to choose from in every major paint brand. The finish categories may be named differently but each type is distinguished by luster and washability. In general, paint finishes range from completely “flat” to shiny or “high gloss”. Flat finishes have lower levels of viscosity and higher levels of pigmentation that can make your walls look dull and may even accentuate flaws. Flat finishes are great for ceilings where marks and scuffs are less noticeable. Conversely, glossier finishes have higher levels of viscosity and lower levels of pigmentation and typically create more visual interest. Choosing the right sheen can really prolong how new your paint looks for a longer time period. As a first step to creating a color theme, take note of which rooms are visible to one another. Walking through your home using a floor plan can help with this process. Many homeowners begin by picking a color for the largest central room and then select the same color hues for adjoining areas. This method of color selection is key to selecting the overall color palette perfect for your home! Neutral colors like white, beige, or gray are good options for expressing more creativity and colors to accent walls! It’s important to focus on your upstairs and downstairs separately and not be nervous about having different color schemes on each floor! In the end just remember to research, find help from your resources, explore colors and have FUN - painting gives you a chance to embrace your creative side! For a little more inspiration, check out the 2019 paint color forecast to find the perfect color scheme for your home and learn to paint like a pro! The staff at #MarrickHomes works to incorporate many painting styles, colors, and finishes in all of our beautiful, new homes! Visit one of our communities in #SouthernMaryland and find the perfect place for you to start new this year! Start 2019 in a New Marrick Home: A Home Buying Checklist from Start to Finish! Is 2019 the year you purchase your first home or new home? There are multiple steps you can initiate to make the whole process easier, more manageable, and even a bit faster! More importantly, your new home purchase will benefit you greatly in the long run! 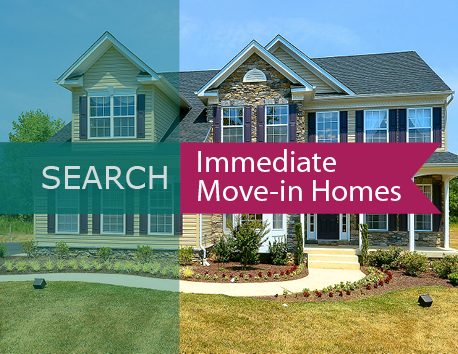 Do your research to narrow down the areas that offer what you really need and want from the location of your home. Your experience will be easier once you determine the “must-haves” within your immediate surroundings. For example, be aware of all the commuter routes and commuting times to and from work, shopping, dining & entertainment. Other important factors include school districts, walkability, crime maps, distance to commercial spaces, traffic, etc. Once you figure out the right neighborhood, take multiple tours of the area to get a feel for the style of homes and amenities offered. You may discover something new and exciting about your location of choice! An initial conversation with a Marrick Homes’ salesperson, local realtor or mortgage lender is a great way to jump-start your home search. Before your meeting, create your “must-haves” list with location and budget. Professional help navigating the real estate market is really valuable, as things are constantly changing, and it’s important to have up-to-the minute information. From the lending side, you will be given an overview of the process, and your credit report will be pulled to determine if anything needs to be addressed. General discussions about your budget, how much you can afford, and potential monthly payments will take place as well. An affordability calculator can be used to estimate how much you can afford within a particular geographic area. It is important to note that affordability calculators will not account for monthly expenditures, but can provide insight into your overall financial situation. After figuring out what you can afford, you can make adjustments to your list of “must haves” and determine what you are willing to compromise on. Truly understanding what you can afford will keep you grounded and focused during the entire home buying process. One should try to avoid a Private Mortgage Insurance (PMI) and work to save up for a large down payment. A PMI plan is an extra insurance charge that is added by lenders for bankruptcy protection, and will actually cost you hundreds of dollars each month that will not go towards the principal of your mortgage! Save! Save! Save! You should have a down payment equal to 20% of the sales price of the home and aim for the lowest interest rate possible to secure a smart investment. Make a purchase offer as quickly as possible after finding the perfect home! Remember that many buyers are looking at the same homes and have similar wishes! A strong purchase offer should factor in a home market comparison, as well as any advice given by a real estate expert. Your expert knows the market well and can provide sound advice on offers that are airtight! If all goes well, you can begin the design process of your home to create an environment that meets your lifestyle needs. 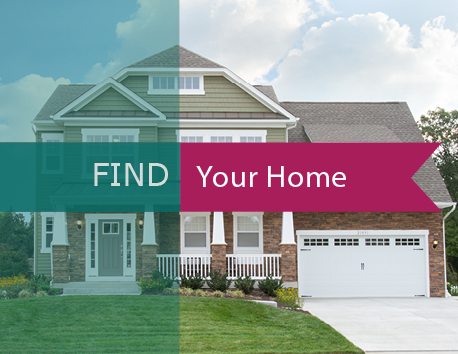 Visit any Marrick Homes Community and we can help guide you through the home buying process to find the home and the location that suits your lifestyle! Your experience will be seamless as our team is comprised of leading experts in both real estate AND home building! Visit today to find your dream home in 2019! Winter Weather Activities in Southern Maryland! Your Guide to the Best Towns to Visit for Winter Activities and Holiday Fun! The holidays are here, which indicate the official start of winter is just around the corner! Embrace the chilly weather by going to holiday festivals, participating in winter activities, and exploring different areas around Southern Maryland. The temperatures may drop, but the fun in Maryland never stops! Beautiful Flatiron Farm is located 15 minutes from Leonardtown, MD and is featuring an amazing holiday light display, complete with festive music and treats! This display will run through December 31st from 5pm-9pm on weekends, and from 5pm-8pm on weeknights. Visitors are invited to park their cars and enjoy a full Christmas Village, pictures with Santa, a candy cane farm, petting zoo, train display, pony rides, and shopping stalls to find that special something! More information on this event can be found here: http://www.flatironfarmchristmas.com. Holiday Midnight Madness: Shopping in Annapolis! First Day Hike at St. Mary’s River State Park in Leonardtown! There is so much to experience and explore this winter and all throughout the year in Southern Maryland! Come enjoy Southern Maryland first-hand with the perfect place to live in any one of our beautiful communities. Visit us at: www.marrickhomes.com/community for more information on our amazing locations! Create a Healthy Home for the New Year! How To Keep Your Home Clean and Allergy Free During the Winter Months. The change of seasons means chillier days which also brings on the surge of winter allergies. If you are spending more time indoors, you might notice an increase in allergy symptoms such as sneezing, wheezing, and itchy, watery eyes. We have outlined some tips to keep your home allergy-free and your family healthy during the cold weather! Buy an Air Purifier: Buying an air purifier for your home will improve your indoor air quality while protecting your family from airborne allergens. Air purifiers use a fan to pull air through high-efficiency filters that mechanically trap particles. This type of air purifier is environmentally friendly because no ozone is produced. During winter months, you will be inside more often and it is worth investing in the air that you breathe! Change All Bedding and Vacuum Floors Regularly: Dust mites are very common indoor allergens that are found in pillows, mattresses, carpeting, and furniture. You can cover mattresses, box springs, and pillows in allergen-proof covers. Also, remember to wash your sheets and pillowcases in very hot water at least once a week. Vacuuming your home regularly can nab pesky dust mites in carpeting, furniture, and improve the general cleanliness of your home to reduce illness and indoor allergies! Make sure to clean the dust out of your vacuum to prevent old dust particles from being released! As a general rule, hardwood floors are easier to clean and you can wash area rugs to eliminate allergens. Monitor Humidity Levels: Humidifiers are used in the winter to combat dryness by adding moisture to the air. Humidity levels must be monitored because mold and dust mites will grow in indoor areas that are too moist. Humidity meters can be purchased to keep humidity levels below 50 percent and a dehumidifier or moist fan can be used to minimize moisture in bathrooms and kitchens. Don’t Use Chemical Cleaners: Replace your chemical-based cleaners with cleaners that are natural or plant-based. Cutting down on chemical cleaners will greatly improve air quality and reduce the amount of irritants that can cause sinus and nasal inflammation. Many natural cleaners include baking soda, water, vinegar, soaps, and soda water. These items are much better for your surfaces, health, AND everyday items that you should already have in your pantry! Avoid Pet Dander: Pets also spend more time indoors during the winter and pet allergens are found in the saliva and dander of cats and dogs. Bathing your pet can help reduce the amount of dander they shed, and you should always wash your hands afterwards to prevent any dander from coming into contact with your eyes or nasal passages. Keeping pets off your bed and vacuuming carpets often will reduce allergens as well. The staff at Marrick Homes works to incorporate many of these featured items into our beautiful, new homes. Visit any of our communities and find the perfect place to live in the New Year. Visit us at www.marrickhomes.com/community for more information on our amazing locations! Top Kitchen Trends We Are Excited About in 2019! Is 2019 the year that you are going to finally renovate your kitchen? If so, start researching and planning the kitchen redesign of your dreams! The team at Marrick Homes knows that remodeling your entire kitchen WHILE being displaced from the most important room in your home can be intimidating. For avid cooks, hosts, and busy families, your kitchen is the focal point of your home and a place where design and function converge. It is important to remember that not only is the kitchen the central gathering area in your home, but the first thing that home buyers assess when looking to buy new. If you haven’t thought about renovating yet- it is time to start planning! 2019 is right around the corner and there are already some amazing and innovative kitchen styles and products that will ignite your culinary spark! Quartz countertops are one of the most highly requested countertop materials because the finish is brilliant and the overall look is timeless. Quartz is also highly durable because it has a harder surface and is non-porous, so it stands up to everyday kitchen spills without any problem. This is not just a trend- but rather a lifetime investment that is here to stay! An upcoming 2019 design trend is to replace the common all-white kitchen with more color, contrast, and warmth. Replace bright white with different subtle colors to create a richer and more layered look. Consider adding paint color that will heighten energy and evoke more of a reaction, while adding some contrast between your countertops and cabinets. Backsplash options are limitless and range in a variety of shapes, sizes, and colors! Move away from white and add a splash of color by adding a new beautiful grey tone or a vibrant mosaic! Certain aspects of your kitchen can be customized to account for daily habits- this might mean a few additional pull-out refrigerator drawers to hold easy to prepare foods, drinks, or snacks. Microwave drawers are becoming increasingly popular as higher space is freed up, and the likelihood of dangerous spillage is minimized. Undercounter appliances increase the sleeker and cleaner look of your kitchen and will reduce the presence of bulky appliances! Installing deeper drawers will make cooking and storage much easier- especially if drawers are placed in high traffic cooking areas next to your stovetop or range. Drawers allow you to add dividers and containers to make organization a breeze! Also, lower drawers are about two feet deep, allowing you easy access to items at the very back of a drawer- so, say goodbye to rummaging around! 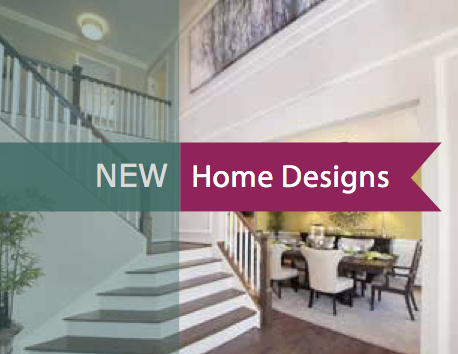 Marrick Homes effectively incorporates many of these design trends into our award-winning homes throughout every community! We love sleek colors, designs that promote functionality and organization with timeless appeal. Visit any of our neighborhoods in Southern Maryland to find the perfect place to move into before the end of the year! Visit us at www.marrickhomes.com/community for more information on our amazing locations! A Holiday List You'll Be Thankful For: The Ultimate Holiday Home Guide! The holidays have arrived and the search for new holiday decor is upon us. We are always looking for new ways to celebrate, entertain, and decorate. The team at Marrick Homes is here to help make your holiday decorating easier by outlining some trendy and affordable ideas that will wow your guests and make your holiday gatherings something to talk about! Make the holiday season magical by do-it-yourself holiday decor, following trends, or just purchasing timeless decorative items that will light up your home for years to come. Here are some great ideas that were trending this year for you to explore! Ornament wreaths make a festive statement and are completely cost effective as the ornaments do not have to be expensive. Imperfections in ornaments create a rustic and cozy finish and you can create a wreath out of ornaments you already have- there is no need to buy anything new for this project! The 2018 color trends have encouraged us to move beyond the traditional gold, red, and green hues that are so common during the holidays and it seems this trend is here to stay! The most fashionable colors for 2018 in holiday decor are purples, blues, and various shades of gray. Imagine your home filled with shimmer and shine as the winter sun dances off these exquisite decorations! Ottomans: can be added to your living area for more seating, while acting as hidden storage. Cushions: can be used to elevate surfaces such as fireplace surrounds or deep window sills- but make sure the surface is secure! Marrick Homes wishes everyone a happy and safe holiday season. Stop by any of our gorgeous communities around Southern Maryland to find the perfect place to move into before the end of the year! Visit us at: www.marrickhomes.com/community for more information on our amazing locations! As 2018 is coming to an end, is 2019 the year for a total bathroom update? If your resolutions for the New Year include a new home or bathroom remodel, start your Pinterest bathroom board now and browse our fabulous blogs on Tumblr, to research and design the bathroom of your dreams! While remodeling a bathroom can be intimidating, it is important to remember that a bathroom renovation is one of the most cost-effective ways to increase the value of your home. Also, an impeccably planned bathroom transforms into a personal sanctuary all your own, a serene space to relax, retreat, and revitalize! Let’s start with the key to total relaxation - a freestanding tub. One of the advantages of the freestanding tub is providing complete placement flexibility to install it almost anywhere! With a very distinct style, a freestanding tub will be the highlight of your bathroom space and there are also multiple colors and design options to choose from! Plus the benefit of providing the illusion of more space, the freestanding tub includes an opening around the tub, as opposed to closed off, as seen in most standard bathrooms. Accent walls are an amazing design element with different wall color to break up the traditional look of four walls painted the same neutral color. Accent walls draw your attention and allow you to experiment with colors in a new and innovative way. A bathroom is a great room to try different wall colors using paint, tile, or both! When done correctly, colors can add vibrant style to any bathroom! Marrick Homes has taken this style concept into account when designing our bathrooms. Accent walls are added depending upon homeowner preference, and we love using the dark intense paint shades or tile colors in small spaces to enhance the overall look of our bathrooms! A transitional style combines contemporary and traditional styles to create a clean, built-in appearance for your bathroom space. Traditional design elements such as paneled cabinets, combined with contemporary subway tiles or a stone slab, create an amazingly clean yet modern look. The clean lines and straight edges are very easy to maintain over a long time period, and the aesthetic is perfect for people who do not want their home to be limited to one style. Why not be creative and mix different design elements into one amazing bathroom! Marrick Homes offers new home designs that showcase the vibrant beauty of a transitional style bathroom. Combining different elements, such as traditional color tones mixed with sleek tile, fixtures, and accents, fuse perfectly for a classic style with a modern twist! If you’re interested in retreating to a bathroom like this, visit our single-family home designs available at Clarks Rest Community! The Pinehurst Model features a spacious owner’s bath or opt for a royal bath with a glass block shower. Take a virtual model tour or try customizing a floorplan design online, select the options you desire for your dream home, and let us build the rest! As the temperatures begin to drop and talk of the first frost arrives in the 7-day forecast, now is the time to put focus on decorating the outside of your home with autumn decorations! From a cozy front porch to a harvest garden, we are sharing ways you can add curb appeal to your home with seasonal fall décor to give your guests a festive greeting upon arrival and be the envy of the neighborhood! At Marrick Homes, we take great pride in being a locally owned business that can provide you, our homeowners, with a superior quality product, at an excellent value, with exemplary service and a total commitment to your satisfaction! Since 1984, we’ve grown to be one of Southern Maryland’s premier homebuilders. We are proud of the homes and communities we have built in Southern Maryland – and our roots here are deep! From the first time you visit one of our model homes, to the day you move in, and beyond, we want to make finding your forever home an enjoyable experience, which means getting to know you just as well as you get to know us! The autumn season is full of festivities guaranteed to get your spine-tingling and pumpkin–spice lattes flowing! From haunted attractions to pumpkin patches, Southern MD has the perfect fall fun for your family! Get ready to fall in love with living in Southern MD and see what the season brings with some of the fun festivals and events going on for you and your family to explore! Things To Do in Leonardtown! As the summer season draws to a close, grab a seat for dinner outside or take a stroll down a charming small-town street found in Leonardtown, Maryland – also right up the street from our magnificent planned community of Clarks Rest! Centrally located in St. Mary’s County, Leonardtown was irrefutably named as “a most convenient place” in the early 18th century and remains to be the convenient hub we know and love today! So if you’re ready to get outside and enjoy the summer sun, plan your day for exploring this beautiful historic town! To help you along the way we compiled a list of our Top 5 picks for dining, shopping and exploring the very best of Leonardtown. Pet Upgrades for Your Home! We all love our pets and will of course do anything to make them happy and comfortable within our own homes - we sneak them extra treats, buy them a plethora of toys, and find any excuse we can to spoil them at a moments notice. However, if you’re a dedicated pet owner who likes to take things a step further, chances are you’ve probably even made some changes to your living space to accommodate them. Window treatments can often turn into a design challenge, or worse, a major investment! However, let’s face it - if you neglect your windows in favor of a different design focus, you’ll be left with a pretty lackluster view. Whether you find yourself in need of fresh window treatments, want to let more sunshine in your house (or block it out) in modern fashion or are starting from complete scratch on a renovation, we’ve gathered some fresh trends to help you turn any window into your new favorite focal point! Long Weekend Summer Getaway Spots for Maryland Residents! If you’re like us, you blinked once and suddenly… we’re halfway through July! Don’t worry, though. Summer isn’t over yet, and you till have time to take advantage of the sunshine. If you’re tired of scrolling through Facebook and seeing friends and acquaintances wandering about, a late-summer long weekend getaway might be the perfect remedy for a quick escape! No need for airline tickets or a robust itinerary – there’s great spots within reach of the Southern Maryland corridor, and we’ll fill you in on some of our favorites! Patio Ideas, Décor & More! IA mid-June afternoon on the Eastern Shore; the sun is shining, and there’s not a cloud in the sky – whether your residence allows for porch, patio or poolside relaxation to soak in those rays, we have the assortment of furniture, styles and outdoor accessories alike to make your stay-cation all the more enjoyable throughout the summer months! Leaving a smaller Carbon Footprint is an important, and generally overlooked factor from the construction process all the way through your home’s lifespan and beyond. Being mindful of our impact on the immediate and surrounding environment is a big step in procuring longevity for our planet! With both technical additions and moderate design and architectural adjustments, achieving a home that is more environmentally friendly can be a realistic feat whether you’re building a custom home, remodeling a current residence, or just looking to upgrade outdated materials or components. Take a look at some popular options towards creating a greener home that both you, and Mother Nature, can be proud of! Nowadays, your home is only as smart as the technology you fill it with. Traditional, multi-facetted systems have been streamlined to put ease of access at the forefront – and with that comes the ability for the newest appliances and gadgets to benefit our daily routines from safety, economical and entertainment perspectives. Take a look at what made our list of the “Gotta Haves” for your home to bring it into the modern-age! Work, work, work - Because some things just have to get done! However, if you’ve broken free of the prototypical office environment and brought your workstation into the comfort of your own residence, you have the utmost freedom to not only maximize productivity, but your aesthetics as well. Make your office space resonate with your passions and personality that provide the zen that has you working at your very best! With the last of the seasonal snow likely behind us, it’s time to soak in the spring time sun! Slowly but surely, as the temperatures begin their climb upward, everyone will look to embark on their own version of the endeavor that is.. spring-cleaning! While you may initially look towards the inside of your home, there will certainly be some items that need their own tender loving care outside as well – like your patio, walkways, or home garden. Make sure to set aside an upcoming weekend on your calendar to spruce up your collection of flowers, plants and herbs using a few of these preparation tips before the summer months roll in! Your kitchen – perhaps THE most popular space in your entire home. Now, we know some people treat this space as their kingdom and domain, while others see it more of a place they’re stuck longer than they wish. BUT – if there’s one thing either side can agree on, it’s that keeping the kitchen uncluttered makes everyone’s life a little easier. Follow some of these tips to create some useful storage space and open up your counters to make prepping, cooking and cleaning that much easier, and even more enjoyable.